Rajinikanth Film Review From Aarulinrunthu Arupathuvarai. Aarulinrunthu Arupathuvarai Movie. Rajini Film Aarulinrunthu Arupathuvarai. 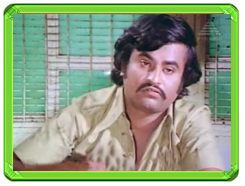 Rajinikanth Aarulinrunthu Arupathuvarai movie. www.rajinikanth.com. The story itself is not much different from numerous other movies Rajnikanth himself starred in, much later in his career. Movies like Padikkaadhavan and Dharmadurai too had Rajnikanth being cheated by his brothers after he had devoted his entire life towards their success. But its the treatment of the subject that differs here. There are no grandiose, overdone scenes to show his affection for them nor is there any artificiality in his reactions to their behavior. There is no comedy, there is just a single fight sequence and even that is quietly done and there is only one dream sequence(and not with the heroine). Rajnikanth is Santhanam, who lost his father when he was a boy, and has been supporting his family ever since. He joined a printing press at that time and has grown step-by-step, while accumulating enough debts to put his two brothers and a sister through college. His poverty leads to him being jilted by the woman he loves and he then gets married to Lakshmi('Fatafat' Jayalakshmi), solely on the belief that this would get him the money needed to conduct his sister's marriage. But after sacrificing his whole life for his siblings, Santhanam watches on as they leave him once they find greener pastures, leaving him to fend for himself. The movie is definitely heavy with no attempt to lighten the atmosphere whatsoever. Not until the very end do we see any kind of happiness in the movie. But inspite of the pessimistic tone and chance for sentiments, most scenes are handled in a mature and realistic way. For instance, though Rajnikanth incurs huge debts to keep the family afloat, we don't see him treat his brothers with softness always. He barks at them at the right time(like his reaction to his brother's criticism to the shirt he buys for him) and points out his own inabilities. Similarly, his silent reactions to the brothers leaving him, speak volumes. His reaction, when the second brother asks him for permission to leave, with his bag already packed, is one such very effective scene. The effect of many of these scenes is embellished by the sharp script. The feelings are brought out very well in Rajnikanth's lectures to his brothers. His reaction to his brother ill-treating Cho and the way he restores peace and calm after quarrels between 'Fatafat' Jayalakshmi and his sister sound natural, mainly due to what he tells them. Even the lecture of a Jeya's father to her when she expresses her wish to marry Rajnikanth is logical with no unnecessary shouting. There is also a very telling comment on why poor people have more kids that rings true while being funny. Not that the movie is completely devoid of exaggerations though. The behavior of Rajni's sister, especially when he takes a present for her child, appears cinematic and unnatural. Normally, its the reversal of fortunes in such movies that makes us cheer and lifts our spirits. But here, these portions seem rushed. They give the feeling that S.P.Muthuraman did not have the courage to maintain the sad tone of the movie until the end and slapped together a happy shift in the story. The background voice that narrates the story only gives credence to his line of thought. Rajnikanth here will be a revelation to those who have been exposed to only his recent movies. He makes a very believable, sympathetic protagonist during all stages of life. His outbursts towards his brothers and sister are as effective as his crying over his wife's death. 'Fatafat' provides good support. Cho plays the kind of friend any of us would be lucky to have. His friendship with Rajnikanth is one of the strongpoints of the movie. Surulirajan is cast against type and portrays a man easy to hate. Ilaiyaraja has a classic in Kanmaniye Kaadhal..., though the picturisation leaves much to be desired.